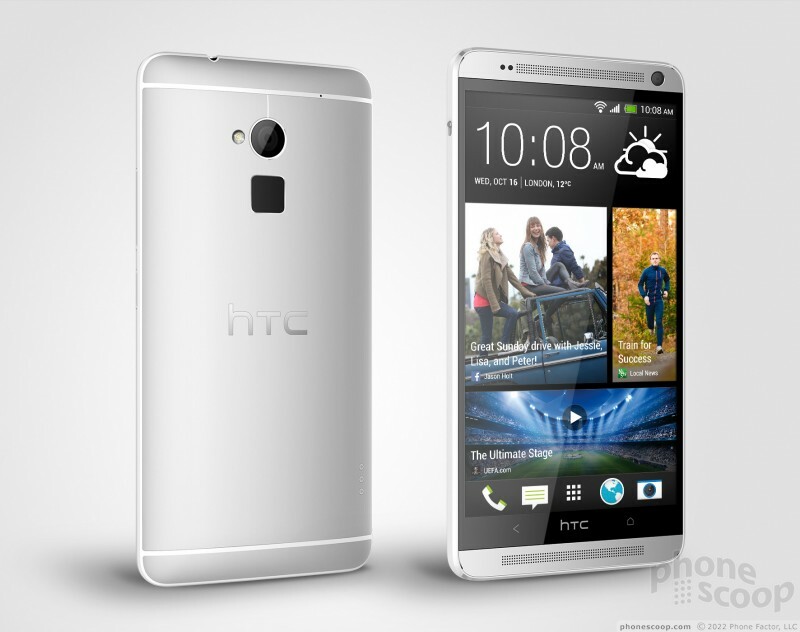 HTC today announced the One Max, an over-sized Android smartphone that looks to compete with Samsung's Galaxy Note 3. The One Max, as the name implies, is a larger version of HTC's flagship smartphone, but offers a unique fingerprint scanner on the back. The scanner can be used to unlock the device as well as launch specific apps. 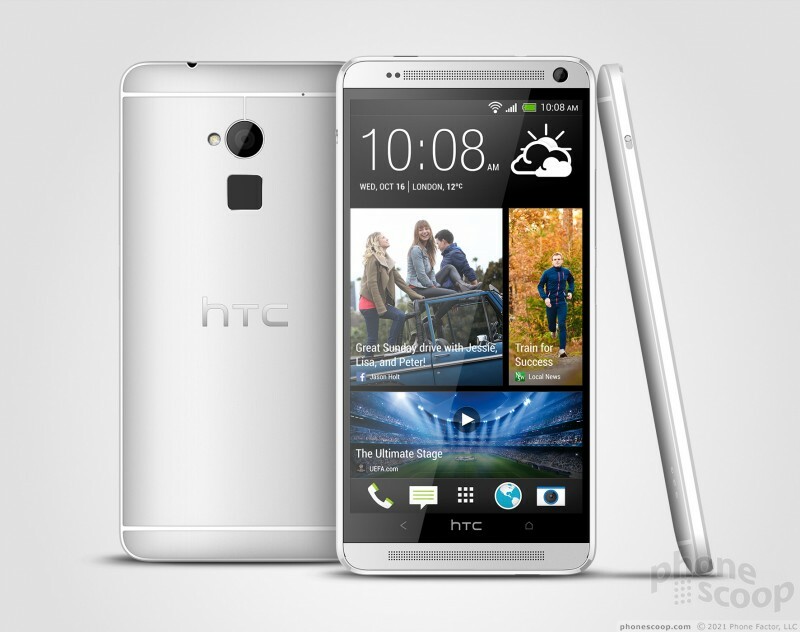 The Max has a 5.9-inch 1080p HD display with HTC's signature aluminum design and dual BoomSound speakers. 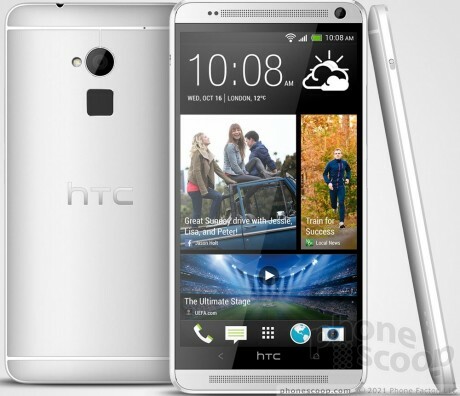 The phone is powered by a quad-core Qualcomm Snapdragon 600 processor, with each core clocked at 1.7GHz. The phone offers 2GB of RAM and either 16GB or 32GB of internal memory with additional storage supported via microSD cards. Like the One and One Mini, the One Max includes an UltraPixel camera with back-side illumination, HTC's ImageChip, and HTC's Zoe shooting mode. The user-facing camera is 2.1-megapixels and has a wide shooting angle. The One Max has a bevy of sensors, such as gyro, accelerometer, proximity, and ambient light; as well as myriad connectivity options, including Wi-Fi, GPS, Bluetooth 4.0, USB 2.0, and HDMI via MHL. The One Max supports a wide range of cellular data networks, including LTE 4G networks of Sprint and Verizon in the U.S. 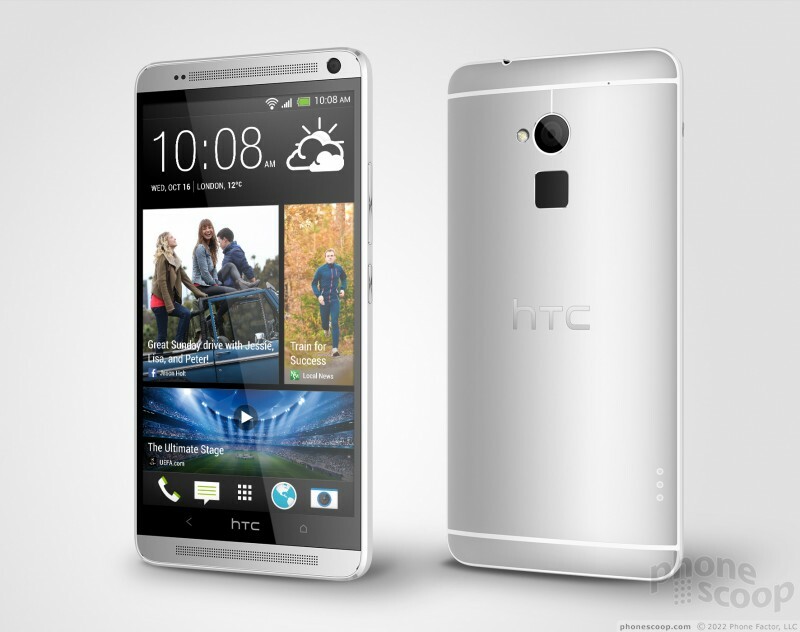 The HTC One Max runs Android 4.3 and ships with Sense 5.5, which is HTC's user interface software. Unlike the One and One Mini, the Max has a removable back cover that provides access to the memory card slot and SIM card, but not the battery. The device hits select markets later this month. U.S. network operators have not yet announced plans to carry the One Max. Samsung has brought the ill-fated Galaxy Note 7 back from the grave as the Note 7 Fan Edition. The Note 7 is infamous for battery problems that led to smoke, burns, fires, and other catastrophes. "The phone offers 2GB of RAM and either 16GB or 32GB of internal memory with additional storage supported via microSD cards." Screw "Ultrapixel", how many megapixel is the camera? You can make them bigger or smaller, and I understand the benefits, but 4Mpix is still 4Mpix, and it's quite limited in resolution.